Unexpected and never convenient, water damage is one of the leading causes of property damage. Recently released numbers by a major insurer show that in just 10 years it has risen to nearly 40% of all claims filed, eclipsing fires as the major cause of property damage. These numbers do not even take into account the water damage associated with fires, catastrophic events, or groundwater flooding which is specifically covered under flood insurance. Burst pipes, fire sprinklers, washing machine overflows, roof leaks, flooding can come from many different sources but the results are the same – a major disruption to homes and businesses. Even with the rapid increase in water damage claims, few people are familiar with or prepared to handle the aftermath of a water loss. There are 4 basic steps steps to water damage restoration which AZ Environmental performs during our time in your home or office. Whatever the cause, whatever the size, AZ Environmental Contracting, Inc. will be there to help you when you need us. 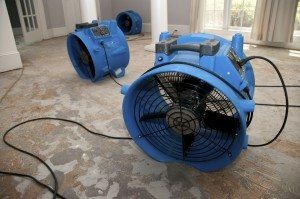 We provide an immediate response and help you with your water damage problems. Your recovery is our priority! For water damage restoration solutions, please contact us through our web form or call 623-734-5536.